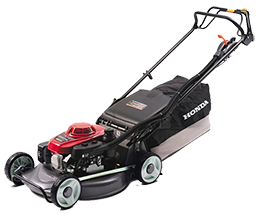 All the benefits of Honda’s superior engine technology at a very affordable price, the all new Buffalo Classic is ideal for medium lawns & the serious contractor. The Buffalo Classic features an advanced and compact 4-Stroke technology engine that delivers outstanding power, torque and fuel economy. Self propelled operating with a 3 speed gear box. The GXV, 4-Stroke engine uses a durable cast-iron bore and being a 4-Stroke engine means you no longer need to mix fuel and oil again. The 21” models are also fitted with a standard snorkel kit which provides superior engine protection in the harsh and dusty Australian conditions. The Buffalo Classic Mulch and Catch also features a mulching plug – giving you the added flexibility to mulch as you mow.